Hong Kong’s universities are regularly the scene of political clashes and anti-Beijing rhetoric, but now it is mainland Chinese tour groups that are causing an uproar on campus. Various local and mainland travel agencies were found to be running package tours to tertiary institutions in the city, with a typical tour group comprising about 40 members. Some of them were adults, but many seemed to be primary or secondary school pupils from the mainland. The visitors have prompted one institution to step up campus management measures, such as recording the details of travel coaches attempting to enter school gates without prior registration or even turning them away. Members of the tours consumed services meant for staff and students, taking up space in canteens and on shuttle buses, the student union of Chinese University in Sha Tin said. These activities created a negative impact on students’ daily routines and the institution’s operation. 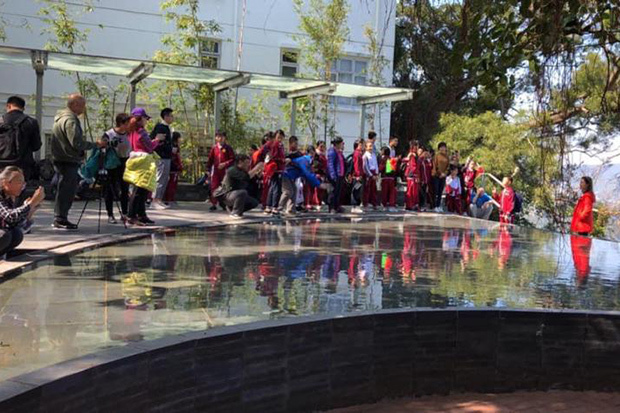 Pictures taken recently and posted on CUHK Campus Radio’s Facebook page showed teenagers in uniform visiting well-known spots on campus. They also occupied tables at the popular Coffee Corner student canteen. “We stress our campus is not a tourist spot, but a place where we perform research, study and live,” the Chinese University of Hong Kong (CUHK) said. The union said it was opposed to commercial activities on campus and had raised the issue with the university’s management, which told the union these tour visits were not registered. CUHK said its campus was open to the public, but visitors were required to comply with its regulations during their stay. A university spokesman said the school had asked contractors running school canteens to make appropriate arrangements to reduce the impact on staff and students. According to China’s largest online travel agency, Ctrip, a tour including a visit to CUHK and Hong Kong University of Science and Technology (HKUST) would cost 1,717 yuan (8,000 baht). A mandarin-speaking tour guide is included, and CUHK’s scenic Pavilion of Harmony is part of the itinerary. Local company Faith Travel also arranges university tours, with prices starting from HK$125 (500 bajt). A similar situation was reported at the University of Hong Kong (HKU) campus in Pok Fu Lam. Davin Wong, president of the HKU student union, said students had complained that groups of children in uniform, aged about six to 10, had been seen on campus with guides for about three months. “Some students told us they couldn’t buy meals [due to the crowds]. And the tourists didn’t know how to order,” Wong said. The union wrote to the institution’s Estates Office to call for follow-up action. Tour groups were also seen at the University of Science and Technology in Clear Water Bay. Sam Yu Chak-sum, the student union’s provisional president, said many young visitors had been wandering the campus on Tuesday. 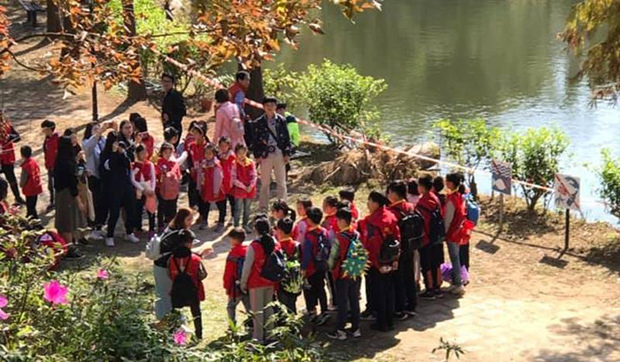 They did not cause much disturbance because students were still on holiday, but problems might arise if they came when the school term had started, Yu said. A HKUST spokesman said all visitors should comply with the regulations of the school and go to the designated public areas. He said to avoid affecting the school’s teaching and research works, the university required visiting groups to file a written application seven working days before arriving. But the school had not received any complaints about members of public coming to the campus, he added. Tourism sector lawmaker Yiu Si-wing, who is also chairman of China Travel Service (Hong Kong), said the agency organised two types of day-tour packages, which covered CUHK and HKU respectively, but he did not believe they would disturb the students, considering their small scale. The tours were for two to five people or a maximum of 15 respectively. Yiu said institutions could bring their concerns to the Travel Industry Council, which could require agencies to ask for approval from the institutions before visiting.